Magnum Ice Cream’s M-Pulse Proximity app is live! Designed by Karmarama and programmed by Nice Agency, this application uses a combination of the NewAer Proximity Platform SDK along with StickNFind commercial grade iBeacons to make your smartphone truly smart! After downloading and running the application your iPhone can now use its built in Bluetooth radio to let you know when your friends are nearby, as well as iBeacon enabled retail store coolers bringing you the ultimate digital ice-cream social! Since this app uses the latest wireless technology, when you install it, you need to enable some things in your iPhone… But don’t worry, we’ve worked hard to make sure that they do not run down your battery like prior applications that use location around GPS satellites would. First you need to turn on your Bluetooth by sliding the menu up up from the bottom of the iPhone screen and making sure the third circle icon that looks like a sideways bow tie is highlighted in white. Then when you see the enable Bluetooth pop-up message within the application, click enable it to use this. Then enable push notifications so that the updates work automatically. Finally, you must enable the Bluetooth to be used in the background. This lets the alerts for your friends to come through when the app is not running on the screen. Don’t worry, we put a switch in side to let you turn off the push notifications on your own device if you do not want to be bothered. That’s it! You are now living in the future finding your friends with NewAer. Your smartphone is now truly smart! Download the M-Pulse app from www.magnum-mpulse.com or the iTunes store and click more for the press release and screenshots! We’ve been Scobleized from our friend Robert Scoble. Robert has been covering technology since he was inside of Microsoft in the early 2000’s, to the first podcasting network in the middle of that decade. These days Robert interviews startups for Rackspace and their Small teams, Big impact project. His latest book, Age of Context was before the world of “proximity” but he gets it like few others do. It’s a 30-minute video, so longer form than most web views, but we dig into many use cases for next generation ambient computing and talk about the limitations of iBeacon. We are in beautiful Whistler Canada this week at the GROW conference, an offshoot from Debbie Landa’s Under the Radar conferences. 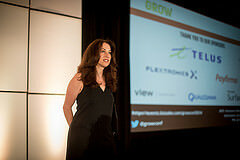 She brought out hundreds of people from the US tech scene, retailers and Canada’s best startups from across the Great White North. We spoke on a panel focusing on what context-aware computing means for consumer experiences and privacy with Mikael of EasilyDo and Robert Scoble from Rackspace. The debate was around privacy and the relationship that we have with websites or apps. An example that I used was Google Now, an application built into Android the more data goes into something, the better it can feed knowledge to you because of its machine learning and therefore awareness. Robert enjoyed the fact that when he went to Coachella his Facebook advertisements, and friend’s posts and photos began popping up on his feed. Whether their application was reading his current GPS as a data set that Facebook could leverage, or their algorithms were looking at his own published and tagged stories or photos didn’t matter to him. The fact that the context was known and the presentation of data was adjusted for his physical space was the important outcome. Increasingly wearables too give their unique identifiers out in the air through Bluetooth Low Energy, and this is something that our NewAer SDK can leverage as part of our machine-to-machine identifier. While the user identity of the person wearing the device is unknown to us, partners who leverage our platform can let their customers tie this identity to a user, for example to an airline database to pull your flight information and be able to present helpful messages upon digital signage as we showed during the American Airlines hackathon. With any of these scenarios, a trust relationship occurs between the users and the apps or websites where they have a relationship. Uploading photos or posting stories to Facebook gives social currency and connects people together. Using an application for your favorite airline can bring efficiencies such as mobile boarding passes and updated real-time gate information. Proximity data is a next generation contextual “meta layer” that can tie even richer interactions into your world than what GPS can offer due to its lack of precision and power consumption. Just as cookies on the web help with context of what is in your shopping cart, we aim to bring the positive effects of “cookies to the real world” with proximity radio data from our all format, all beaconing radio proximity platform SDK. Finally, our patent strategy as founders of the proximity triggering space progresses with our second patent grant in August! We now add US Patent No. 8,805,352 “Determining virtual location based upon scanned wireless signals” to our IP roster. This is a proximity based matching engine and trigger that can be applied to updating applications or digital signs based upon a unique fingerprint of devices inside of a space. Our upcoming Unilever application and the follow-me video solution that we showed at the Cable Labs event are built upon this patent. You can preview our solution for follow-me video from our YouTube channel here: Follow-Me Video at Cable Labs 2014 Tech Showcase. The NewAer technology is peer-to-peer along with iBeacon in reverse, and we are proud to have built it before Apple’s entry into the space. Like many business travelers, I fly hundreds of thousands of miles per year to meetings, conferences, never-enough vacation and holiday family gatherings. We have most airport codes memorized, and the Great Circle Mapper shows friends how ridiculous the travel months are, as the bird flies so they say. Even though my flights are a “sequence of one-way destinations” that differ, one thing that stays the same, besides bad airport food, is terminal riddled eye-charts, whose monitors list flights along with gates and departure times. 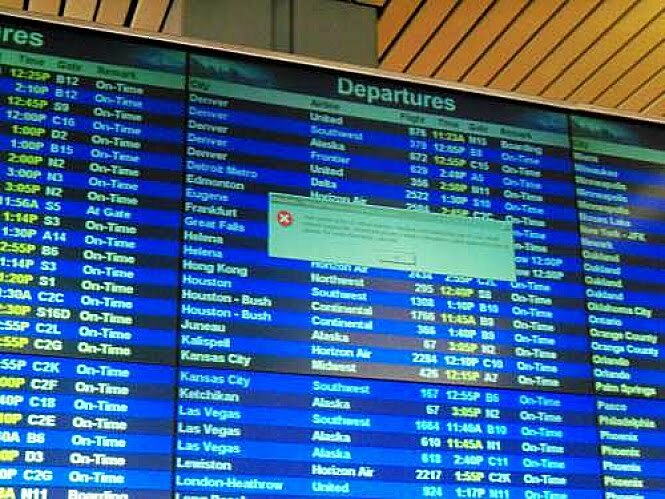 Worse are code-share flights, or those where two airlines use the same airplane under differing flight numbers, requiring travelers to wait for the scrolling information between the two to confirm a gate. along with the LG Display group, to build Proximity Signage for American Airlines under the Wearable World in-flight (ok, so technically we did our debugging in the air) hackathon. The Wall Street Journal covered our dream in Scott McCartney’s section called The Middle Seat, my worst nightmare of flying. The July 17th 2014 paper’s front-page story captures our vision: “I walk up to the sign and it knows me,” where to be and how much time I have to get there. Unilever & Magnum + NewAer bring you the digital ice-cream social. In February we announced our partnership with Unilever and now we can state which one of our favorite brands that it’s with, Magnum Ice Cream! It’s a digital marketing first: a CPG brand launching a P2P beacon strategy vs. a retailer. Before diving into how the campaign works with the video below, here’s a recap of beacon technology in marketing today. Even with NewAer’s invention of any “beaconing radio as an action” nearly five years ago, the beacon world is still in its infancy and rough around the edges. Apple’s iBeacon is just one year old and the most well-known beacon proponent, and to our belief, the few retailers and stadiums currently using it do so via “spammy” experiences. Each time you walk by a beacon, it triggers your phone to create a message of the iBeacon’s intent within an application. The state of the beacon marketplace today. Think about it like this; when your phone vibrates, you expect it to be a phone call, text message or an application you’ve permitted to disrupt your personal space digitally. Now amplify this with a new type of walk-by spam, where a second pass by an iBeacon brings up the same message. With iBeacon’s current lack of silencing second events (we call this “flapping,” like a door banging in the breeze) they continue to pop up as new inbound messages. We knew from the start of NewAer that we had to eliminate that while putting the power of the technology into the consumer’s hands. Summer is here – so what better way to illustrate our automagical, non-intrusive technology than via an ice cream social with a twist? With the forthcoming Unilever mPulse application, debuting in London as part of the 25th anniversary of Magnum ice cream and powered by the NewAer Proximity Platform SDK, will notify you when a friend is nearby, helping to create a spontaneous rendezvous. 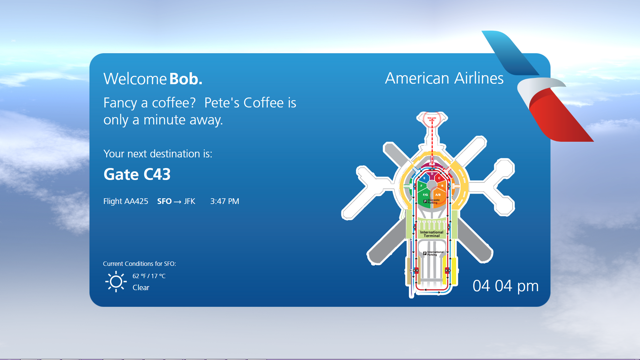 This alert is similar to a text message from a friend asking to meet, except it happens automatically via our engine. 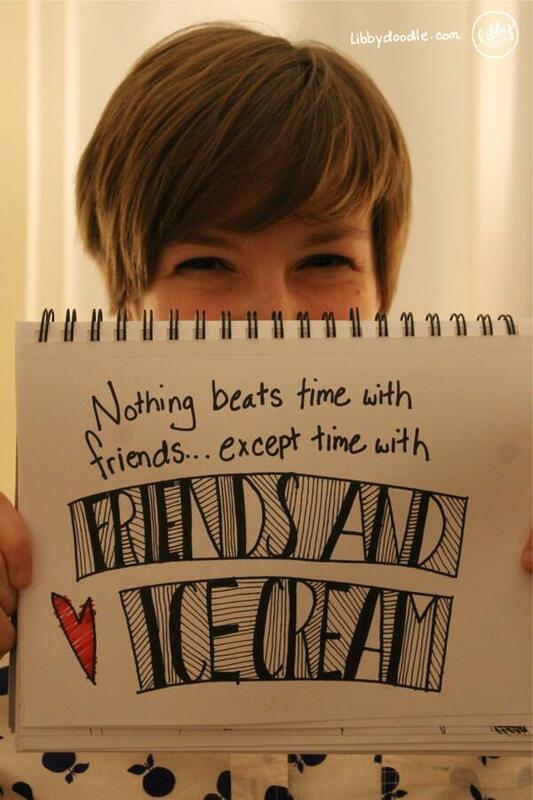 When there is an ice cream cooler nearby you and your friends, that message gets relayed as well. What’s special for consumers, and critical to marketers, is that we’re creating opportunities to connect with friends instead of a barrage of one-way marketing. Equally critical is the ability to turn off your device beaconing if you want to “go stealth” for some alone time. Naturally, mPulse does that too. Working with Unilever’s agency Karamarama we came up with the ultimate app for connecting and reimagining the ice cream social – one that is powered by NewAer’s SDK of invisible bits, to create impulsive unexpected connections. Only NewAer could accomplish such a sophisticated campaign (yes, even Apple’s iBeacon cannot) as we are the only company in the space who specializes in making mobile devices like tablets and smartphones themselves communicate as beacons. Last week we were honored to attend Cannes-Lions as guests of Unilever where CMO Keith Weed generated huge online buzz when he took the stage to discuss their innovation in consumer marketing, with their partnership video featuring NewAer. The opportunities for magical consumer moments driven by mobile technology are endless, and it seems that the trade press is beginning to realize that too. In sum, ice cream bars never tasted so good! We hope to digitally run into friends in London when we launch in late July, and with the mPulse app, you will too! Our 2014 European Customer Tour! We’ve been like kids in a candy store lately and wanted to share some of the big wins that we have had and share upcoming events that you can get involved with too! In April, we kicked off our project with Unilever in London, which will leverage proximity ranging between fixed beacons as well as handsets that have downloaded their app powered by NewAer’s Proximity Platform. This will be the first time that a consumer product leverages our “better than iBeacon” framework to enable devices to communicate with one another using our SDK in addition to the traditional application triggering with fixed iBeacons. More on that to come! We were given a notice of allowance for our 2nd patent around determining a virtual location based upon scanned wireless signals. This is key to our automation engine driving a “state change” or creating some type of action either on your device or in the cloud based upon seeing a known beacon at a specific signal strength. For a young company like ours to have two patents so quickly is a testament to our early forward vision and our swift-moving intellectual property team. Congratulations guys! We spent a few days at MIT’s Media Lab Member Event media.mit.edu/events/spring14/day1 and left both inspired and motivated. We met some teams doing some radically forward thinking projects, many of which were excited about our framework for machine-to-machine discovery. 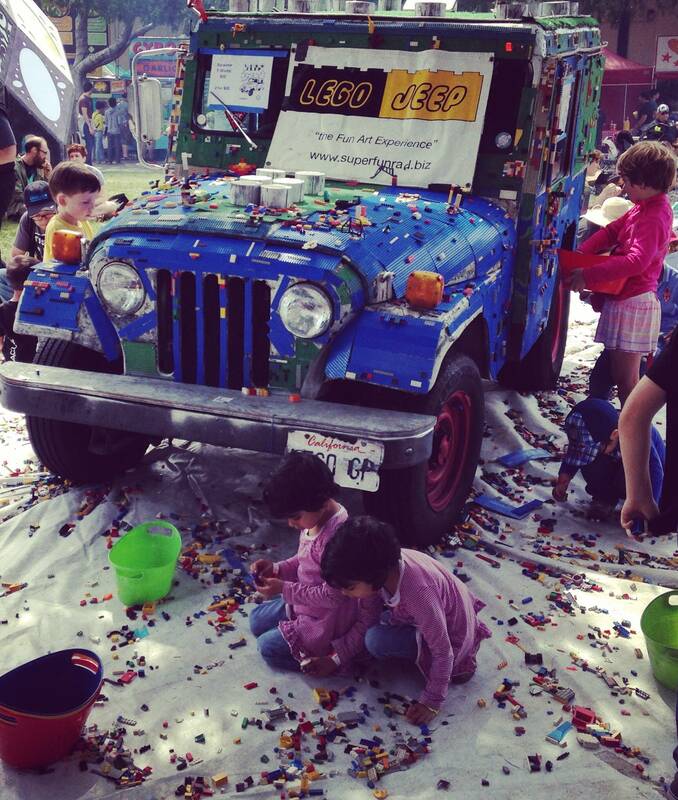 After a chilly visit to the East coast, we headed to our favorite DIY event called Maker Faire www.makerfaire.com, where 150,000 people come to see what thousands of others built from their workbench or garage. The quality of some of the vehicles blew us away, but we were most excited about the kids there who had built communication circuits, robots, and even a pneumatic actuated bench that was synchronized to a roller coaster ride! Keep it up future inventors! The first week of June we are in Dublin at our telecom partner Alcatel-Lucent IMS User’s conference, where we show our “one number to any destination” routing using proximity and their IMS infrastructure www.alcatel-lucent.com/products/converged-telephony-server with CTS and the Self Care API. A video of the debut of it is here. For the second week we head to London for the Europa’s theeuropas.com, then Founders Forum www.foundersforum.eu as we ramp up for London Technology Week londontechnologyweek.co.uk. We are sponsoring a hackathon with the Sand Pit Labs hacximity.org where we’re giving an early look at our 4.0 SDK that allows peer-to-peer communication over unpaired BlueTooth Smart links and a prize for the best use of our SDK! Sign up for the hackathon here! For the last half of June, we head to Berlin for our investor T-Venture www.t-venture.com with their T-Labs and T-Systems division around next generation automotive showrooms and retail traffic measuring and marketing. We wrap our month of demos and meetings Europe at the 5th year anniversary of the MLOVE ConFestival mlove.com/confestival/ were we will share stories of the Maker Faire and the future of all things triggered from any beacon! We’d love to meet you at the events above, so let us know if you’re going to be in the mix above too, and lets talk about our better than iBeacon framework. We would love to see how it can tie into your applications or infrastructure! MWC, SXSW and CeBIT demos and acronyms! 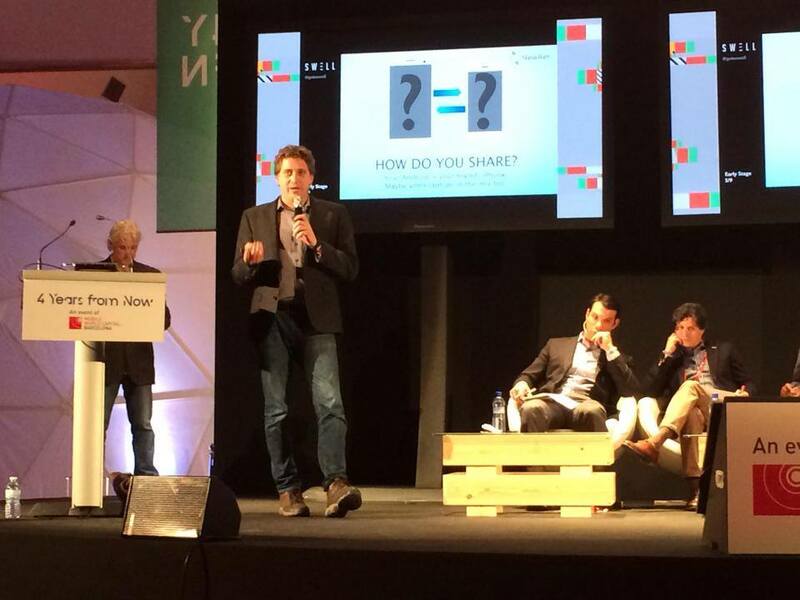 At Mobile World Congress AKA MWC, we pitched along side several startups at the SWELL innovation awards, where we won their Innovation award. That win pushed us to a second round in front of a room full of executives from Unilever, the number two advertiser in the world, with brands like Axe, Dove and Magnum ice cream bars. We pitched them on the future of marketing on mobile devices, with automated messaging around our favorite topic, proximity communications. It was thrilling to have such a large audience and see them share in our excitement. Our vision for connecting people together along with places where their brands are able to be purchased resonated with their top executives as we were chosen in the top 7 of four-hundred submissions to be a part of the Unilever Go Global program and cannot wait to give you further announcements on our joint product launch! Because of our presentation, we were awarded a pilot contract one of the global giant’s brands to create a next generation proximity application for them. This news comes after our quick stop to our favorite geek spring break event, South By Southwest – AKA SXSW where we presented our file-sharing product at demo showcases like the SWELL Austin event! Thanks for having us back for two events in a row gang! We also had a get-together with our investor Intel Capital, and a handful of their startup posse at Swift’s Attic, which was a great break from the rain on Saturday afternoon! We bypassed the food trucks one night, for a delicious Texas steak dinner with our friends at PayPal, and hung with the Bluetooth SIG another evening where the term BTLE Bluetooth 4.0 and BLE was officially renamed Bluetooth Smart. Thank you for simplifying the messaging gang! At the Bluetooth meetup, we stressed that companies and app developers need to secure communications over wireless radios between devices, as any of this data can be captured “in flight” and needs to obfuscate usernames, identity tokens and URLS to identities like photo URLs. Our proximity communications SDK helps those who are not experts in the “wireless data in motion” not have to worry about private data exposure, which could hamper the very industry, others are just getting started in. This week, we were at CeBIT AKA Centrum für Büroautomation, Informationstechnologie ind Telekommunikation which is the worlds largest computer expo, spanning 5 million sq feet and more than 200,000 attendees. Here we debuted proximity in automotive retail showrooms and will have more to come on that as the weeks progress! That’s a snapshot of our past few weeks at a glance, and we’re so thankful for the wins and proud of what we’ve accomplished – but we want to see how you are inspired by our engine, so check out our NewAer.com/Share application which uses our proximity platform SDK to automate actions based upon nearby radio waves and show us what you have for an app idea. Mobile is heating up in Europe! 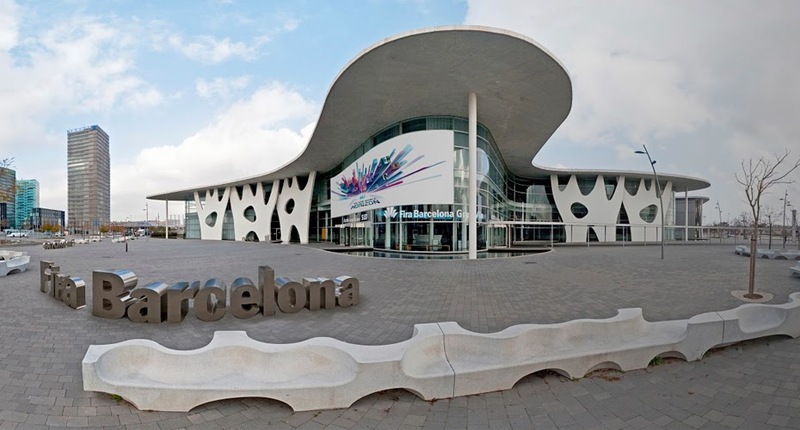 In 2011, we made our first trip to Barcelona to debut our all radio detecting Proximity Platform. This act kicked the doors wide open to partnerships with Alcatel-Lucent for the debut of next generation call routing at the following CES and a relationship with the Intel software team, which was a precursor to their strategic investment in our company the following year. This year we have teamed up with that same Software team from Intel to bring in-proximity device discovery to their Common Connectivity Framework (called CCF to those in the know) which debuts at the WIPJam hackathon from the 24th through 26th. NewAer is a great addition to Intel’s latest CCF framework for peer-to-peer communication. By leveraging the power of the NewAer Proximity Platform for discovery, and the new CCF communication node API you can easily build applications to leverage both proximity discovery and peer-to-peer communication. It is a snap to wire the NewAer API to the CCF discovery node system and unlock use cases like proximity based messaging or file transfer. Just a few lines of code are required to tie these two frameworks together to great result. An example of the simplicity of this on Android is at the end of this post. In addition to the WIPJam event with Intel, we are presenting some of our applications like Share at the Four Years From Now (4YFN) SWELL Startup competition on February 25th. Our good friends atWearableWorld.co are also having a Wearable Wednesday event on, you guessed it, Wednesday. All week we will be tweeting what we are up to at www.twitter.com/newaer and Intel Eventshttp://twitter.com/intelevents will be at their handle. Before we sign off, Wired Magazine UK published our story on how the Internet began and how it has now evolved. We follow that with the world moving towards devices as beacons, from Bluetooth 2.0 to modern BTLE, WiFi, cellular tower or even the upcoming LTE Direct, nicknamed LTE-D. Our favorite quote from the story is “Why couldn’t we create valuable experiences from discovery of devices nearby, without the need to connect to them?” That is how NewAer was born! And now that snippet of code that I promised you! Here is how you enable in-proximity connections in Android between CCF and companion nodes via NewAer… This could enable “AirDrop” functionality on Android, so cut, paste and hack away! Finally, our blog makes a move from Blogger to our own site. We thank Google for years of hosted content, and look forward to this new platform! 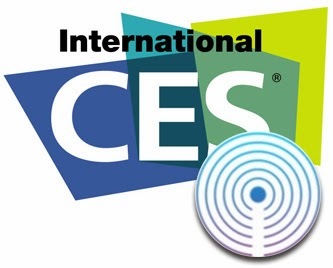 This year, the show is buzzing with Bluetooth Low Energy (BTLE) in the form of watches, heart rate monitors, smoke alarms, keyfobs and of course beacons….beacons, beacons – even CES organizers are using show floor beacons to connect to the CES App. It’s exciting to finally see our predictions realized – these beacons will be commoditized, and real value is in the software that enables them to make powerful automatic interactions vs “pop-up” warnings or marketing nags. Response from partners at CES has been overwhelmingly positive, because we’re actually a step ahead of iBeacon. The NewAer Proximity Platform SDK now includes our proprietary cloud fingerprinting technology which can read any beaconing radio, from Cellular to WiFi to Bluetooth 2.0 or BTLE. This is the technology we used to enable our amazing file sharing app, Share. We have repacked this technology behind Share and are now delivering it as part of our SDK. Using this back-end we are able to provide the FIRST and ONLY device-to-device (as in phone to phone – not just iBeacon to phone) proximity software that is works across Android and iPhone handsets or tablets, without costly battery consuming external hardware beacons. It even works with Bluetooth turned off. Try to do that with iBeacons! These features are provided when using the two new scan types that we have added in this week’s 3.0 release, launching at CES: NewAer Devices and NewAer Areas. 1) Generic Scan – Gives access to all locally visible devices the hardware and OS allow, including: WiFi, Bluetooth, BTLE, NFC and Cell Towers. 2) Service Scan – Gives access to Bonjour services on your local WiFi or Bluetooth. 3) NewAer Device – Gives access to devices in proximity running your applications, regardless of platform. 4) NewAer Area – Provides an identifier for an elastic physical area. Think of it as a “proximity group,” which can easily be used to create proximity chat rooms or social media connections with anyone nearby. We have also added the ability for different apps from the same developer to see NewAer Devices from either application when in proximity. This means that you can now declare that two of your NewAer enabled apps are “friends” using our self-serve SDK portal and they will see NewAer Devices with the same identifier across both applications. 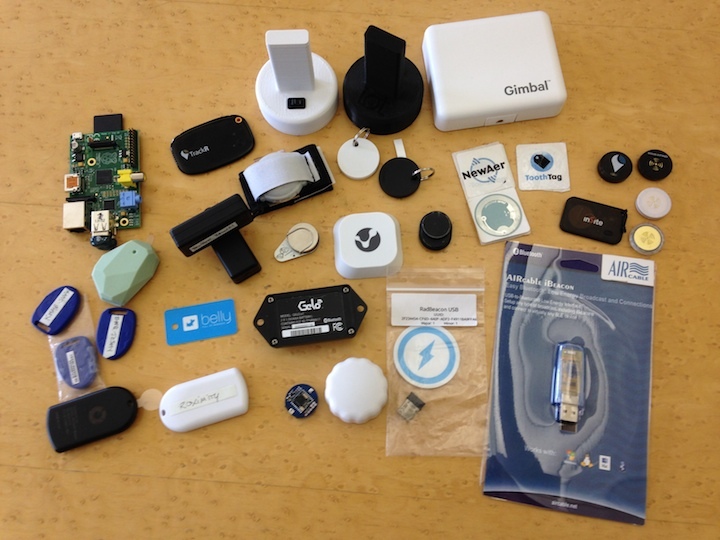 This NewAer 3.0 SDK fixes a huge limitation of iBeacon where one beacon can only speak to one application. Note that we believe in a user’s control over his or her privacy and we firewall off apps from different vendors, preventing them from seeing one another. We also can shut down those who use our SDK and might abuse this feature. Step into the future of cross-platform proximity using the NewAer SDK and see what proximity enhancing your applications can do for your users. On more thing! If you are in the United Kingdom, grab the January 2014 issue of Wired magazine to read our story on the future of wireless called “Your wireless devices shall connect seamlessly.” We will share it here when it’s posted to the online world in the coming weeks. For now, it’s on newsstands only! As Tom Cruise walked through the mall in the blockbuster film “Minority Report” advertisements scanned and recognized his eyes, triggering messaging that to spoke directly to him – asking questions of prior purchases. The NewAer team often uses this scene for inspiration – the penultimate in passive custom engagement driven by technology and uniquely delivered to a store guest. It’s futuristic, yet recalls a time when store owners actually knew their customers, what they liked and what they’d purchased previously. Today in the land of big-box retail stores the customer has been lost by virtue of volume. Yet E-commerce giants like Amazon know your personal habits just as those old neighborhood merchants at the 5 and dime did. It’s a digital step toward that Minority Report experience…and in 2014 the NewAer team is combining our Proximity Platform with the intelligence of the E-commerce industry to create real-life ‘wow’ moments for shoppers. In the coming weeks we’ll release software both directly and through partners to let big-screen digital signage inside a store speak to customers and enable any brand tablet to be used as this intelligent marketing engine…to name a few early examples, as we’re readying our first retail display software product beta’d in 2013 called Kiosk, for an early 2014 launch. Consumers can already see other players in the industry experimenting with the concept of passive engagement. Inside of the Apple stores, iBeacons trigger within your proximity and internal location-based push notifications pop a message on your phone when you walk near accessories, similar to getting a text message. While this is clever, it’s a bit generic…does every customer want alerts on the same merchandise? Plus, the experience nags with a second notification when as a guest walks by the same beaconing point again. We feel that will aggravate consumers to the point of them disabling this service, and it’s a pain point we have anticipated. The NewAer Platform eliminates duplicated events messages as well as allowing retailers to mimic the behavior of the advertisements in Minority Report, with the advantage of empowering the consumer into opting in to this engagement. With Kiosk running on a dedicated PC or tablet, it will “wake up” with a special message to specific customers based upon what a retailer knows about them. If a merchant has a back-end database of prior purchases, rewards or points, the display becomes even more engaging to the customer. NewAer stands for ambient, automagic events happening behind the scenes without the annoying check-in or another action performed on any device. Thanks to the power of our cloud-based beacon system, the device and the environment operate seamlessly with one another. For this to work, we leverage our Proximity Platform to enable smartphones, tablets or computers to communicate through a scrambled identifier, beaconing to other wireless devices. For retail stores, these identifiers are used to greet customers within radio range of our Kiosk application. By opting into broadcasting this unique number, personal identity is masked by our platform, but the retailer (who may have a loyalty program) can address the customer. So there you have our wrap-up of 2013. We are excited to see where our industry of proximity marketing is headed. While early stories are just starting to come in from technologists, we are monitoring consumer habits and the latest wins and fails in the industry to make the most robust, customer friendly, customizable solution with our NewAer Proximity Platform SDK. Here’s to a great 2013, and the future of 2014 cannot come soon enough!